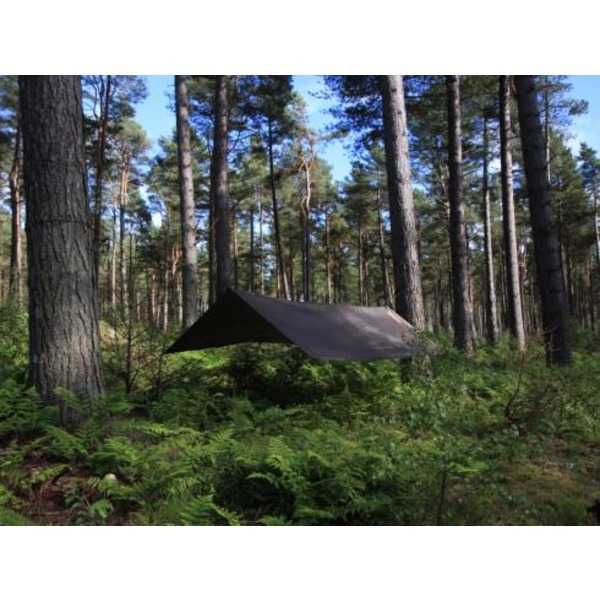 Looking for a group shelter, a very spacious bushcraft tarp for yourself or a large, lightweight and versatile basha that can be set-up in many different ways? This is it! 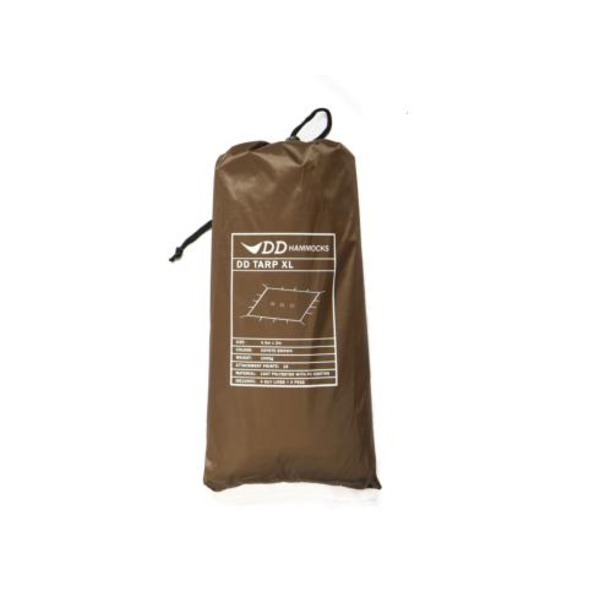 The DD Tarp XL is a massive 4.5m x 3m! As with the other DD tarps there are 16 side attachment points which are now reinforced and very tough + 3 centre (ridge) line attachment points. 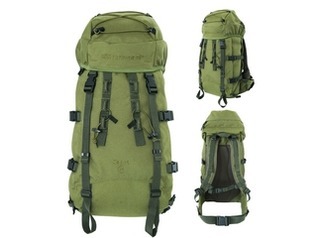 With a total of 19 attachment points the tarp can be set-up in many, many different ways. 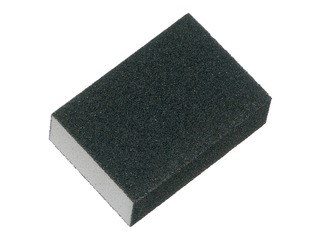 Seams are taped. 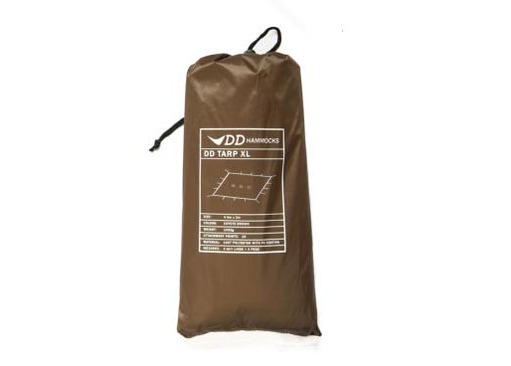 The DD Tarp XL is favourite among scouts and bushcrafters. 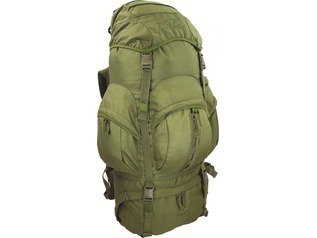 cover for a group shelter / work space etc at Scout / large camp / Forest Schools. 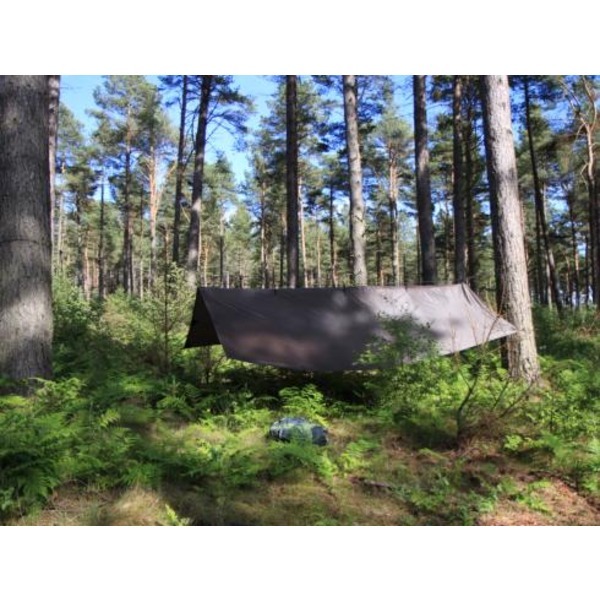 a large cover for a single hammock (good if you plan to stay in one place for a while or just prefer a larger shelter). 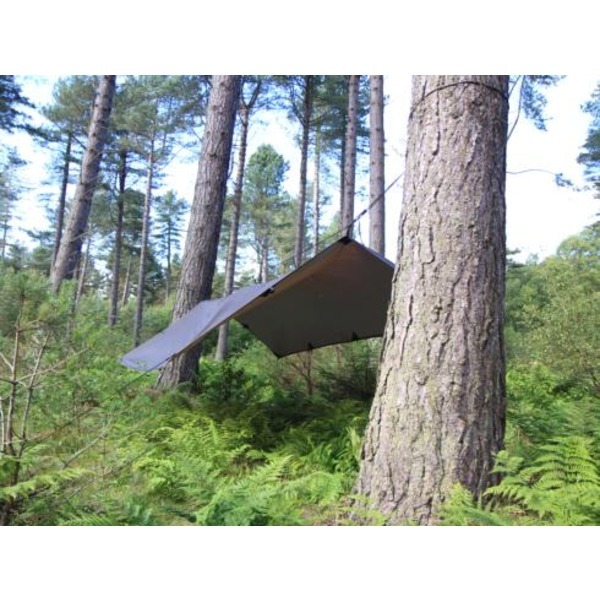 Its also possible to fold the ends in to create an almost enclosed 'tent' around the hammock. 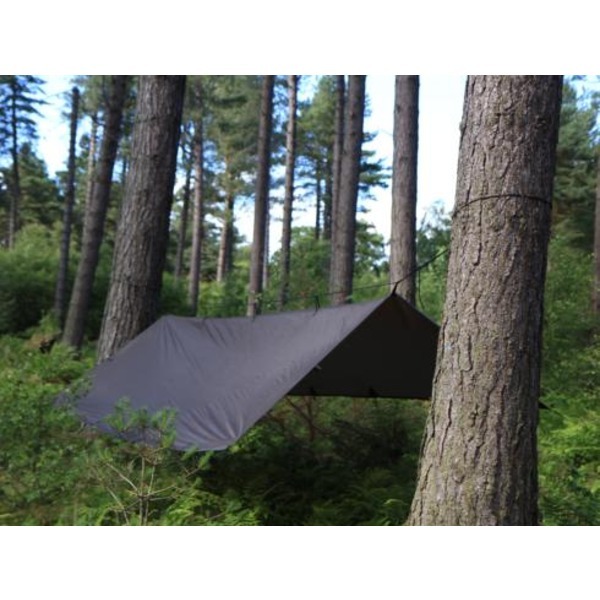 an enclosed 'tent' for up to three people sleeping on the ground.